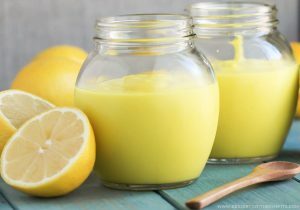 Keto Lemon Custard- Guilt free dessert! Add the butter and cream cheese to a saucepan and heat on low flame. While it is melting, grate in some lemon zest, add 15 drops of stevia and the juice of half of a lemon. Stir until it starts to come together. Slowly add in 1 yolk at a time as you continue to stir with a whisk. The end product should be a smooth, creamy texture. Cook it for a couple minutes additionally and then add the xanthan gum and combine. Remove from heat and pour the mixture into a bowl. Cover the bowl loosely with plastic wrap and place in the fridge for two hours to set.